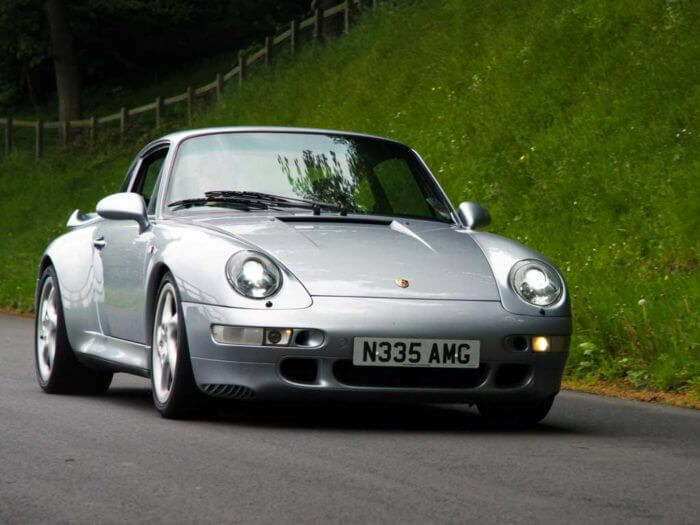 Car 1, is our very own Porsche 993 Turbo – last of the air cooled 911’s and in many enthusiasts opinion (including ours) the very best 911 of all time! 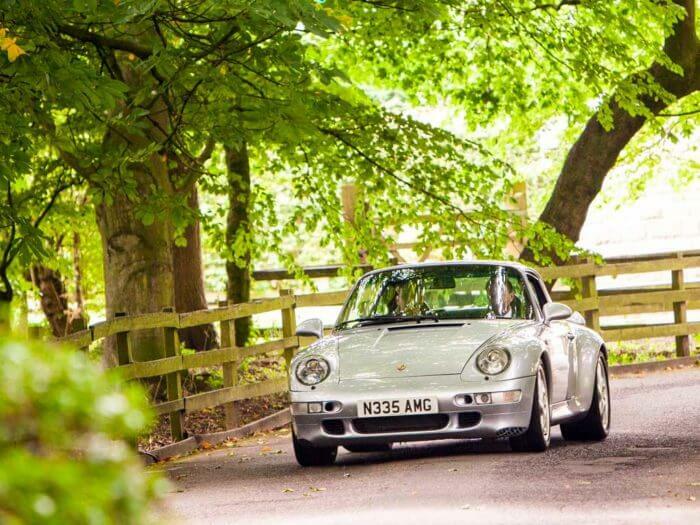 This particular car is a stunning example finished in metallic Polar Silver. There is a lovely icy blue tint and is complemented with a fantastic full black leather sports interior. I have owned this car for over 8 years and looked for the very best example I could find. 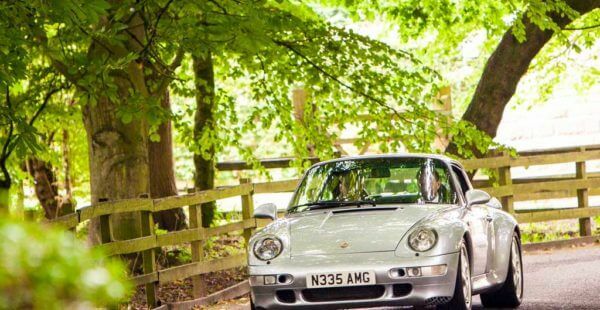 Totally original, well maintained example ticked all the boxes for me! 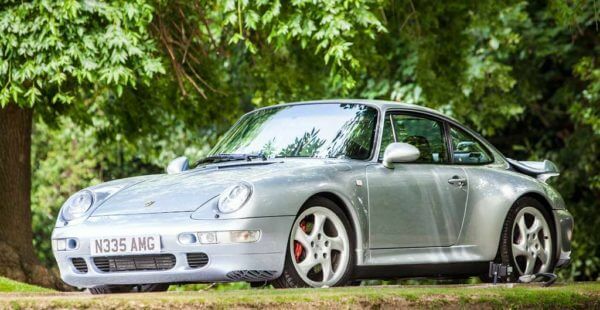 Only 270 UK right-hand drive 993 Turbos were made and they are becoming increasingly rare and very desirable. 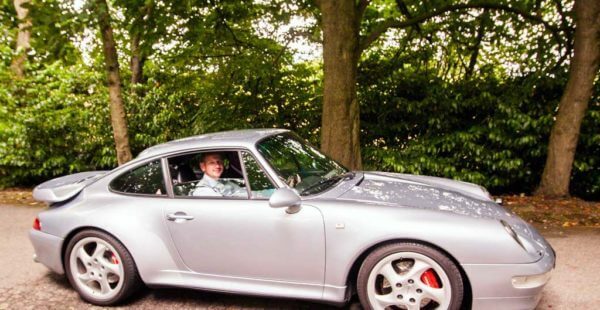 This car really keeps you involved as a driver – no traction control to speak of, just your right foot! 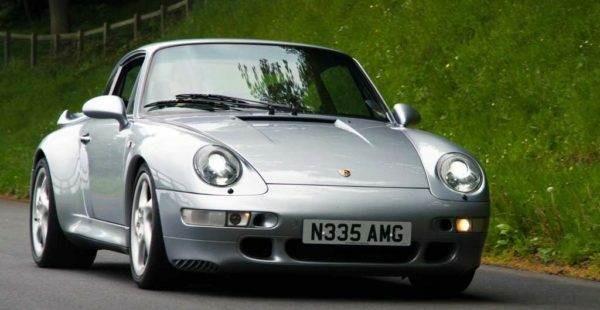 I have travelled across Europe to Le Mans and up to the Nurburgring in this car. It is such a practical and comfortable car to travel in and I love it! 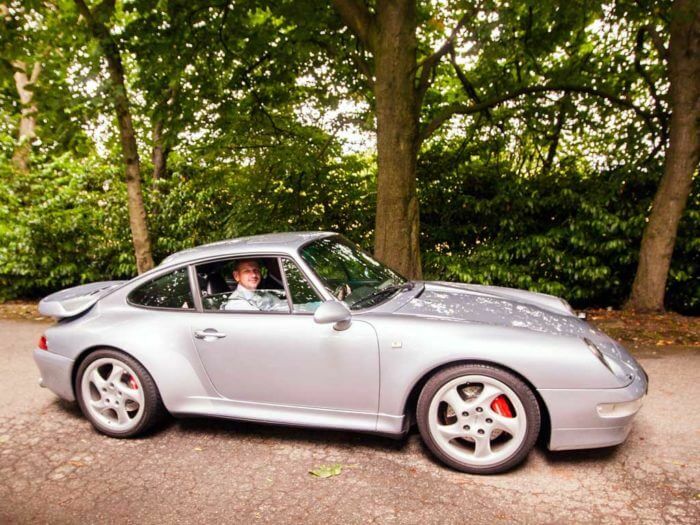 The Gemballa sports exhaust makes the already awesome sound even punchier with its characteristic ‘popping’ note. In fact, it sounds so good that a few years ago I was asked if the car could be used to to record the exhaust for a popular Playstation/X-box racing game – ‘Driver San Fransisco’. 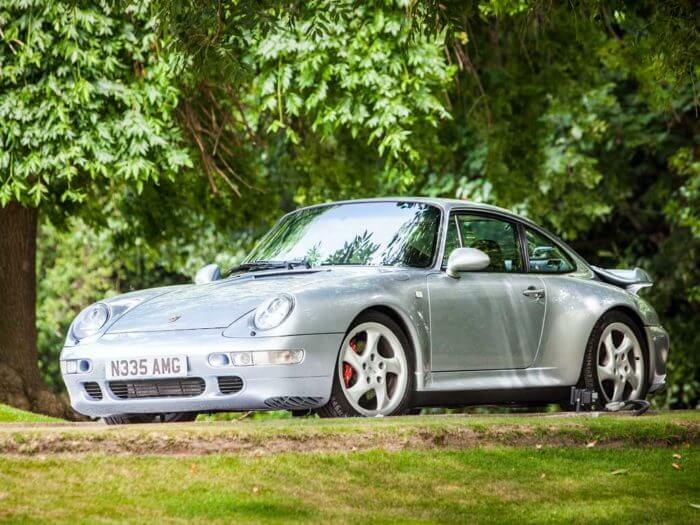 Any classic Porsche can be a real head turner and this 993 Turbo is no exception. 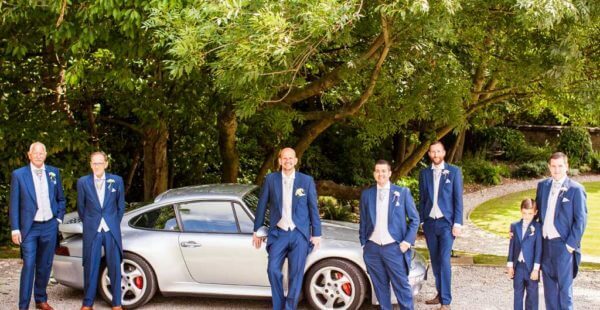 If you are looking to make an entrance on your big day then this Porsche 911 Turbo will ensure you are the envy of all your guests! 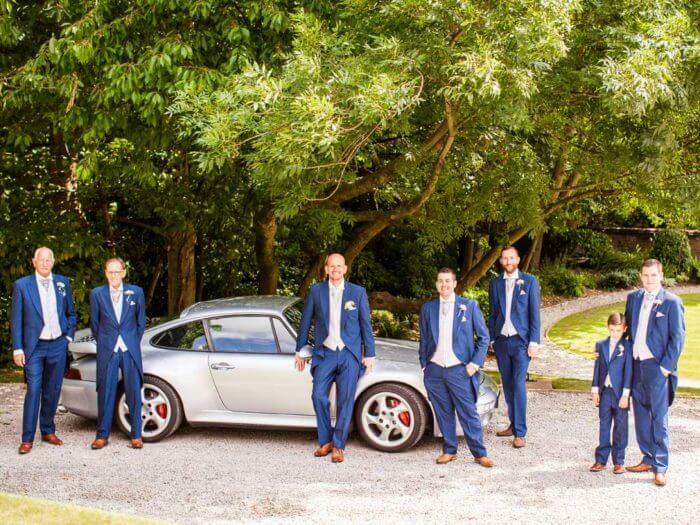 Why not surprise the Groom and book this car to get him to the church in time and in great style!